Yoga should be accessible to all! That’s why we’ve carefully crafted and curated the prefect mix of technology, teacher experience and overall yoga goodness to make Yoga Studio: Mind & Body the number-one destination for health conscious individuals looking to begin their yoga journey or to take it to an all new level. All our classes come with full HD video and teacher commentary that’s clear and easy to follow. Ten exclusive classes ranging from 10-45 minutes in length are available on iOS and Android. The classes taught by Rodney Yee will cover a variety of abilities from beginner to advanced, and include more detailed practices focusing on hip openers, inversions and restorative sequences. Download on Google Play to enjoy 70+ ready-made classes and build your own custom classes on your Android devices. And every class gets a full HD video! We've done all the hard work, so making your own yoga classes is a breeze. Unique features like pose blocks and smart-link make it simple, intuitive and fast. Best of all, we stitch together a full, flowing video of every class you make. Yes, you read that correctly. A full video, for every class. We call it video stitch and we think you'll love it. For a quick walk-thru on how-to make your own custom classes checkout our YouTube page. Pose blocks are short sequences of poses - like a sun salutation - that can be used like building blocks to make classes. They help speed things up - just add a few blocks, throw in some of your favorite poses and your class will be ready in no time. Simple. Not sure how to make your class flow? We'll do it for you with our awesome Smart-link feature. Use it to connect poses that might not naturally lead into each other. This way you see exactly how to smoothly move from one pose to the next. It's like magic yoga glue. We think video is a great way to learn and practice yoga. That's why we created a unique library of over 1,700 yoga video clips. 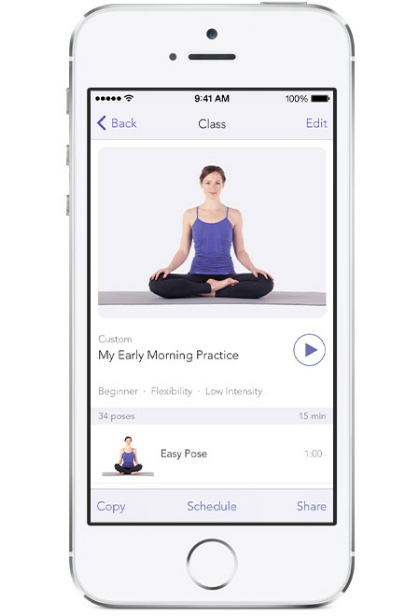 It enables Yoga Studio to stitch together a full, flowing video of almost any class you can think of. So, you make the class, and we'll make the video. No connection, no problem. Classes in Yoga Studio live on your phone: just download a class once and have the freedom to practice wherever and whenever you want. Yoga Studio delivers beautiful full HD video classes, but we also try to keep download sizes small. In fact, our video stitch technology means file sizes are around 10 times smaller than normal HD videos. So you can download more classes without filling up your iPhone. Our free library of poses includes step-by-step instructions, list of benefits, modifications, variations and cautions for each and every pose. Browse, search or sort to quickly find a pose, then learn all about its yoga goodness. You can also add poses to your favorites list. This makes them super easy to find and add when making a new class. Making it easy to stay on track. Don't have time for a class right now? Schedule it for later. We will put it straight into your iPhone or iPad calendar so you don't forget. Schedule a single class or repeat your favorites every month, fortnight, week or day. Whether you prefer an hour a week or 15 minutes every morning, a regular practice is important, so let us help you fit yoga into your busy life! Enjoy our 65 ready-made classes on your TV with our native Apple TV app. Practicing yoga on the go? Your recent classes from your device will sync to Apple TV. 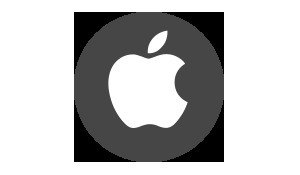 Purchase once and get access on iPhone, iPad and Apple TV. That lets you focus on your yoga. Candles, incense and statues are great, but we don't think they belong in an app. Our class videos are free from distracting clutter so you can focus on what's important: the yoga. Navigating around is also simple and intuitive, so you can find what you're looking for quickly and easily. Plus the app looks gorgeous on a retina display, and is optimized to show even more yoga on the larger iPhone X screen.